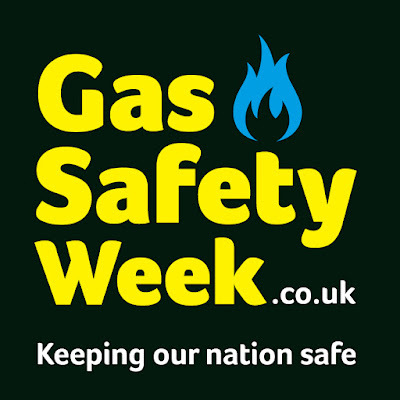 This week is Gas Safety Week, if you didn't know that, don't worry, neither did I until I see so many people talking about it on other blogs and on social media! Before I become a parent, I don't think anything like this would of come across my mind, I suppose it's not something you worry about when you're young is it? I'd like that to change however, and think everyone should be informed of the dangers gas can cause. With the colder months approaching, many of us, if we've not done so already, are getting ready to turn our boilers on after having them off for the summer. As a result, its also the time when any problems with your central heating may become apparent. I'm sure all of you're wise on the No ID, No Entry technique, but just incase, I thought it was important to mention that if you're booking a gas engineer visit, either to perform a repair or a service to your boiler, then please make sure the engineer is fully qualified and accredited to check your appliances properly and do any work safely. The Gas Safe Register estimates that there are around 7,500 illegal gas fitters operating in the UK, which is a terrifying figure of cowboys! To ensure you don't let a cowboy into your home, there are simple checks you can perform. • Make sure the engineer carries a Gas Safe ID card with them, the card will include their picture, and a unique license number on it. • Ask to see your engineers card, and if possible, have a smartphone, tablet or computer nearby with the internet ready to go! • Go to the Gas Safe Register, and enter the license number into the 'Check a Gas Engineer' section. • A picture of the engineer (as long as the business has opted into this). • Contact details of the Gas Safe registered business. • What gas work they're qualified to carry out. If your engineer isn't qualified to do the repair you've asked them too, don't let the job progress. Carbon Monoxide is a very dangerous fume leaked from gas boilers, I can sadly re-call two cases I've read in news over the recent years of two deaths due to carbon monoxide, thanks to dodgy gas engineers! The first death I recall was of 24 year old Zoe Anderson (news article here) and the second was 41 year old Mark Ellis (news article here). I've not mentioned the very sad incidents above to scare people, but however, to warn people of the dangers. Maybe you've found a really cheap 'gas engineer', who's doing the same job you've asked other engineers to do, but at a cost of 50% less than others have quoted you, is your life, or a member of your families life worth the risk for a little saving? NO! Please also note that it's not just CM that's a worry when it comes to gas, there's also the risk of explosions, fires and other disasters as this video below explains. Whatever you do this autumn, and winter with your boiler, please make sure you've had your annual (yearly) gas safety check. If you're worried about carbon monoxide poisoning, there are many alarms around on the market to help you become. Carbon monoxide doesn't smell unlike gas, it's known as the silent killer, and a scary one at that. I however, luckily have one to giveaway, check out the next post for your chance to enter the competition! Tips and advice from Corgi.